Airquip has provided dependable, personalized service and high quality Trane products to Rochester area customers since 1995. They install only quality comfort products that have stood the test of time; and many of which are EnergyStar compliant - meaning they save you money as well. From gas and electric furnaces to heat pumps and air conditioners, boilers, water heaters, air cleaners and humidifiers. Airquip has the products to keep your home or business comfortable. We at Frozen have used Airquip's services to outfit our brand new building with heating and air conditioning - we are looking forward to cool summers and warm winters ahead! 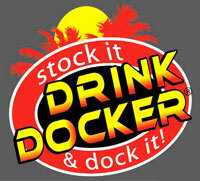 Even computer addicts like us have to drive and we've found no better method for vehicular transport of a beverage than the Drink Docker. Its flexible surface allows it to hold drinks of many different shapes and the material also maintains the temperature of the drink while absorbing any excess condensation. Your computer is outfitted with the most advanced hardware, so why shouldn't your car be outfitted with the most advanced drink holder? Local to Fairport, NY - FrozenCPU's home town - J&N Computer Services (JNCS) is a computer boutique that provides custom built computers, computer repair services and an extensive supply of computer hardware. JNCS has been around since 1994 and provides excellent service with a knowledgeable technician staff that can help repair your rig or build you a new one. JNCS has in fact built many of the computers we have used here in the FrozenCPU office over the years. World renowned and critically acclaimed (Jonathan Gold of Gourmet magazine called it the "single best Thai restaurant in North America"), Lotus of Siam is the one sure dining stop you'll find FrozenCPU at when we attend CES in Las Vegas. Featuring Northern Thai cuisine (food native to Bangkok), this casual dining establishment is so popular that reservations are recommended for dinner. Reasonably priced and exquisitely flavored, it isn't any surprise that this establishment has attracted a following of loyal customers since its opening in 2000. Lotus of Siam is located 3/4 miles East of the Sahara Hotel. When you are in Vegas, stop by Lotus of Siam (lunch buffets are available Monday through Friday) and enjoy the best Thai food in North America! Maingear provides their customers with the most satisfying experience in purchasing a Boutique PC. They are masters of their trade and second to none. Not limiting their customers to merely purchasing their products, but instead striving for excellence in providing quality, reliability, support, and professionalism as well as, the minute details that a purchasing experience can provide, and which many overlook. The Maingear experience is a combination of product and service. With Maingear’s product a customer receives unmatched craftsmanship that provides incredible performance, style and quality. It is their philosophy to provide customers an experience that is like no other and in doing so they guarantee 100% service. 100% service is their promise to their customers that when an order is received a specific technician is assigned their build and will communicate with them. In essence the person who builds the computer will also be the service technician who fixes the computer. Who better to help solve problems than the builder themselves? The computer industry measures Performance on the proficiencies of a status quo. Maingear measures performance on the capabilities of the future. They concentrate on bringing you the best of the best, so even as your machine ages, it will always be respected. Therefore, whether it is hardware, tech support or any other aspect of a purchasing experience, they believe performance doesn't start when you turn your PC on, but when they fasten the first screw in. 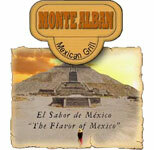 All of Monte Alban's dishes are meticulously prepared with authentic yet mild flavor. Their focus is providing the best of Mexican cuisine and they've been working toward that goal since 2006. It is a great place for office lunches, you may occasionally seen the FrozenCPU staff there sharing a good lunch! PowerNotebooks.com provides custom, hand-built laptops for customers everywhere. They provide PowerPro, Crown, ASUS and Sager laptops with the latest hardware and setup exactly as you choose. Donald and Charlotte Stratton launched PowerNotebooks.com in 1999 to bring the best in quality laptop computers and the best in customer service to the laptop computer industry. Their staff brings forth a refreshing “old fashioned caring attitude” to each customer. Here at FrozenCPU, we’ve been buying laptops from here for years – these are high quality machines that come clean of any annoying manufacturer software that would slow your computer before you’ve even installed one program. You get exactly what you request from these guys. Rarely a week goes by without FrozenCPU placing a lunch order with Perinton Pizza - in fact one could easily mistake this delivery restaurant as being our official caterer. Around since 1985 - Perinton Pizza has become a corner-stone in the Fairport food scene and a number of our employees have been eating there since they were children. With a friendly staff, excellent pizza and fast delivery, we've come to rely on them as the one food joint nobody turns down. There are a couple of staple foods we basically always order. First and foremost being their famous Jim's Buffalo Chicken Specialty Pizza (we recommend adding extra cheese) - no finer example of a Buffalo Chicken pizza exists. It is the King. For a taste of a something different, check out the Miguel's Taco Pizza - their own take on the Taco Pizza uses ranch dressing, along with lettuce, tomato, taco beef and more. Those who like the iconic Rochester favorite Garbage Plate will be happy to know that Perinton Pizza has their own Landfill Plates. Have it the FrozenCPU way: a Cheeseburger Plate with Mac Salad & Home Fries topped with Hot Sauce and triple extra onions! Lastly, for a variation on the old classic, try a Bacon & Pepperoni Pizza: a little extra meat packs a whole lot of extra flavor. If you are feeding a crowd, try their hand-tossed sheet pizzas - they don't freeze the sheet pizza dough! Plus - they are a Pepsi joint - important for us since half the company runs on Mountain Dew. 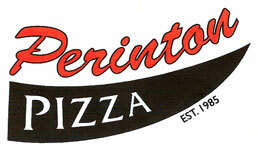 So if you've traveled to visit us, stop by Perinton Pizza for lunch - you won't be disappointed.